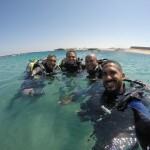 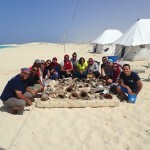 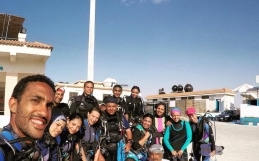 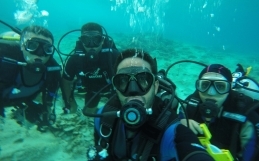 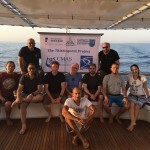 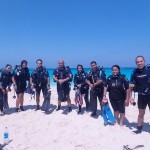 The 2017 season extended form the 03th to the 15th of September during which 96 dives were carried out by a team of researchers and graduate students from the Alexandria Centre for Maritime Archaeology & Underwater Cultural Heritage. 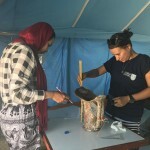 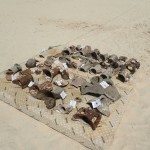 The objective of the 2016 season was to develop 3D models of the main areas that contain concentrations of ceramics within the bay of Marsa Bagoush. 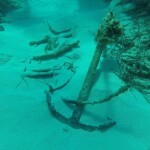 Also during this season several areas outside the bay to the west were explored which resulted in the discovery of a new site. 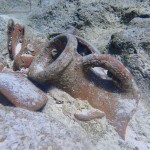 Among the interesting items that were found during this season are two admiralty anchors. 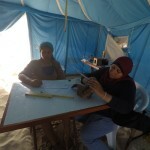 On the other hand, a preliminary survey was carried out on-land to the south of the shoreline. 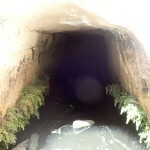 The survey resulted in discovering a series of interconnected rock-cut cisterns which probably date to the Roman Period. 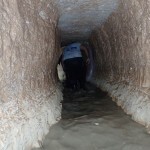 The cisterns are solid evidence that the site was occupied in antiquity.